America's deteriorating infrastructure is in dire need of repair and upgrades, and there are big stakes at risk for businesses and economic developers. Claudio Gonzalez, 72, is one of the few remaining members of a vanishing breed of senior business figures that have won both deep respect at home and a strong international reputation abroad. 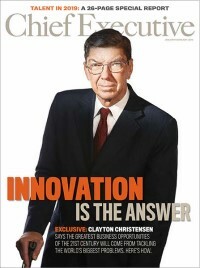 He served as the CEO of Kimberly-Clark de Mexico from 1973-2008. Here's what Gonzalez has to say about the future for U.S.-Mexico relations.